Rimini Street has announced that it has opened its first office in New Zealand. It has set up Rimini Street New Zealand Limited. The goal is to support the growing requirement in New Zealand for its support services, especially around Oracle and SAP products. It already has more than 50 customers with a presence in the country including James Pascoe, Spark, 2Degrees Mobile, Refining New Zealand and The University of Auckland. 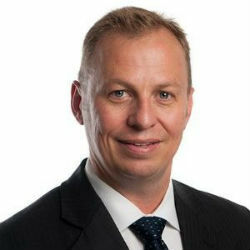 Andrew Powell, general manager, Asia-Pacific, Rimini Street commented: “Organizations in New Zealand, both public and private, spend hundreds of millions of dollars every year on their annual enterprise software support and maintenance, yet see little return from this significant spend. Powell was also critical of the approach of New Zealand companies to innovation. Rimini Street hopes to free up capital for them to re-invest. He continued: “New Zealand is famous for innovation, but it is at risk of falling behind the rest of the world. New Zealand CIOs know that it’s important to spend their IT budgets on more than daily operations. His comments were based on recent research from Vanson Bourne. It found that the ANZ region spent the second least on innovation over the last twelve months. Enterprises in the ANZ region also plan to spend the second-least amount on IT innovation in the world in the next 12 months. IT innovation spend is set to increase by just 6.31% in the next 12 months. The global average is 10.94%. Rimini Street is hoping that offering discounted support costs will free up budgets for customers to spend on innovation rather than just keeping the lights on. The trick for the CIO is to protect some of the savings for reinvestment and innovation projects rather than offer it up as a cost saving success. This opening demonstrates Rimini Streets continued desire to compete with SAP and Oracle for its maintenance revenues across the globe. It already has an operation in Australia. It is now looking to attack Oracle and SAP revenues more directly in New Zealand. Revenues of $62.6 million in its third quarter 2018, an increase of 17% year on year. Customer base growth of 19% to 1732 over the same period. Revenue retention dipped slightly to 92.0% (from 94.5%) over the same period to September 30. In some ways this might indicate that Rimini Street is a victim of its own success. Delivering up to 90% in savings on maintenance costs it does free up revenues for new investments. Rimini Street has recently found new cash to fuel its expansion. It completed a $140 million offering of its common and redeemable preferred stock. This has reduced its debt to $3 million. Seth Ravin explained what the company would do with the increase in cash flow commenting: “By eliminating the financial and operational covenants in our former credit facility, we are now able to invest more in growth activities that were previously limited such as increasing our sales and marketing infrastructure, expanding our global footprint, SaaS product rollout, new software support offerings and cross-selling opportunities.” (Source Seekingalpha.com). Rimini Street now has twenty three offices spread across the world in sixteen countries. The New Zealand offices is its fourth in the ANZ region. It already has offices in Brisbane, Melbourne and Sydney Australia. This is therefore a natural expansion in a region that Rimini Street already has good traction. The company is clearly successful in that region. However, New Zealand is not the most obvious choice for global expansion especially by comparison to Europe. The Auckland office should help to provide a boost to revenues in due course. Rimini Street will need to continue its expansion if it is to keep its growth trajectory going. Its challenge is to maintain that growth as those same customers use the resources to innovate. A warning sign is the small drop in recurring revenue. Its investment into a Salesforce practise should help to retain customers as they migrate legacy systems to cloud but analysts will keep a close eye on that figure. Next articleAre healthcare organisations finally making a move to the cloud?